Contact: Stefano De Clara, International Policy Director, declara@ieta.org. On October 24, 2012 in Sydney, Australia, IETA launched the “Business Partnership for Market Readiness (B-PMR). We aim to enhance the potential for workable international carbon trading models to emerge around the world. IETA will work in concert with the host governments, the World Bank and PMR donor countries on this initiative. IETA’s membership spans the globe – with major energy, industrial, financial and service companies in virtually every PMR partner jurisdiction. IETA is ideally positioned to assist in preparing local businesses to operate successfully in these new markets. By sharing experiences from existing carbon markets, IETA will promote common understanding with local businesses in PMR countries, share best practices and, where appropriate, assist in the policy development processes. Click here for BPMR updates and news. Read the views of B-PMR co-chair Karl Upston-Hooper of Greenstream in Carbon Finance here. Emissions markets only succeed when the business community engages and makes the policy come alive in an operational market. We know this from the early days of the CDM and the EU ETS when major European multinationals grew increasingly comfortable with the concept of emissions trading. Naturally, the fundamental public policy must be in place, with emissions targets, compliance deadlines and rules of the road. But very quickly, it becomes a test of how business will respond to the market incentives – beginning with simple awareness of the policy, and evolving into expert skills, business practices and strategies. This is where the B-PMR fits in as well. It helps fulfill the critical role of building business capacity by sharing real-world experience, both positive and negative. The raison d’être of the B-PMR is to provide a forum where experts are on hand to engage in robust dialogue with local industry stakeholders. For more information, please download the B-PMR Brochure in English or in Chinese. 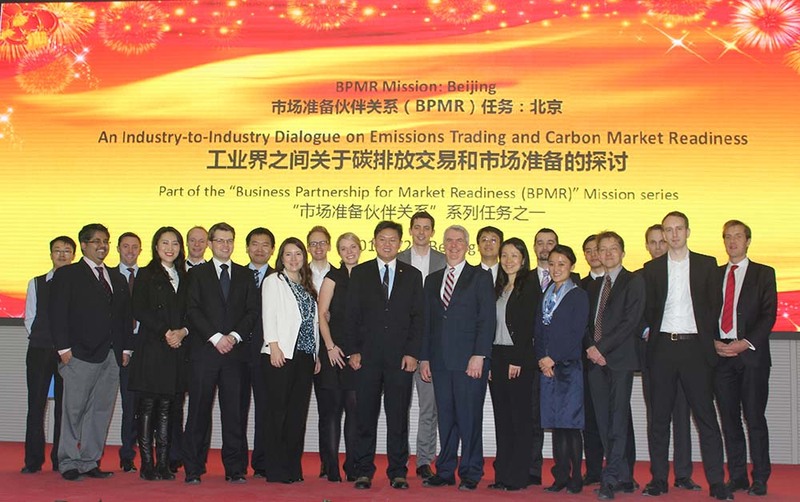 The B-PMR aims to support and share the development of good business practices in the operation and/or design of market-based instruments to reduce emissions of greenhouse gases in new jurisdictions that are developing emissions trading and carbon pricing policies. The IETA membership includes over 150 leading companies active in carbon markets worldwide, representing the full range of technical capabilities needed to make markets work. The B-PMR will offer experienced IETA professionals to be credible voices of support for market mechanisms in PMR jurisdictions – encouraging local businesses and helping build their capacity to gain value from the market. At present, many PMR jurisdictions have not begun private sector engagement. This could become a challenge for the political and operational viability of some of these programs – one that the B-PMR can help to address. Strategically, the B-PMR is important for IETA members as well. It offers the potential to gain better understanding of new carbon markets, to network with new potential business partners and to gauge new trends in market formation. Finally, it could help inform discussions on the “New Market Mechanism” under design in U.N. talks – a topic of critical importance to market participants.